Finland holiday cottage. 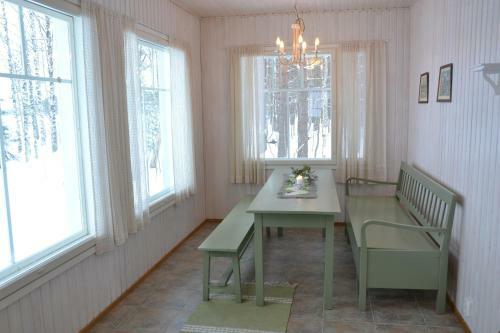 Featuring accommodation with a terrace, Wanha Vartiamäki Cottages is set in Leivonmäki. It has lake views and free WiFi. Wanha Vartiamäki Cottages features a flat-screen TV, a well-equipped kitchen with a dishwasher and an oven, and a bathroom with a bidet and shower. Wanha Vartiamäki Cottages offers a sauna. If you would like to discover the area, cycling is possible in the surroundings and Wanha Vartiamäki Cottages can arrange a bicycle rental service. Jyväskylä is 40 km from Wanha Vartiamäki Cottages, while Jämsä is 43 km away. The nearest airport is Jyväskylä Airport, 57 km from Wanha Vartiamäki Cottages.